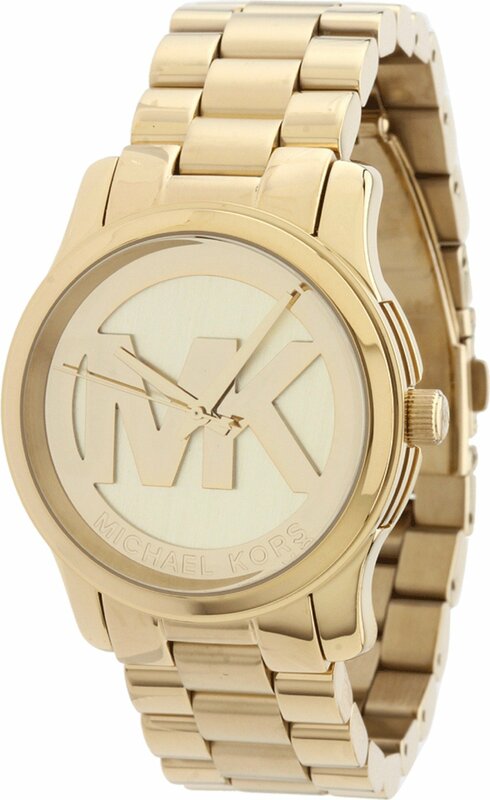 Portray a stunning new direction in style when you wear this lovely Michael Kors™ timepiece. Shiny gold-tone stainless steel case and bracelet. Fold-over clasp closure with push-button release. Three-hand analog display with Japanese quartz 2039 movement. Light champagne dial face includes oversize brand initials and full name at perimeter. Polished top ring. Water resistant 10 ATM/100 meters. Measurements: Case Height: 38 mm Case Width: 38 mm Case Depth: 14 1⁄2 mm Band Width: 1 in Band Circumference/Length: 10 in Weight: 6 oz This product may have a manufacturer’s warranty. Please visit the manufacturer’s website or contact us at warranty@support.zappos.com for full manufacturer warranty details. I cannot vouch for the sellers, but this is a beautiful watch that would make a great gift for someone. The design is unique and very attractive.